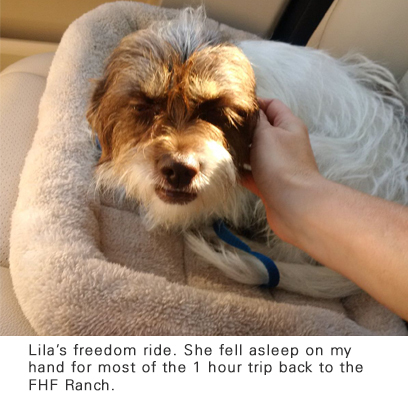 We were introduced to Lila (formerly named "Rags" - yes - "Rags") through an urgent call for help on Facebook. This precious girl was code red at the Fort Worth, Texas Animal Shelter, which means she could be euthanized at any moment. How on earth a potty trained "Super Snuggler" (we call them this when they wrap their arms around you like a person and lay their head on your shoulder) gets disowned and dropped off is beyond words. 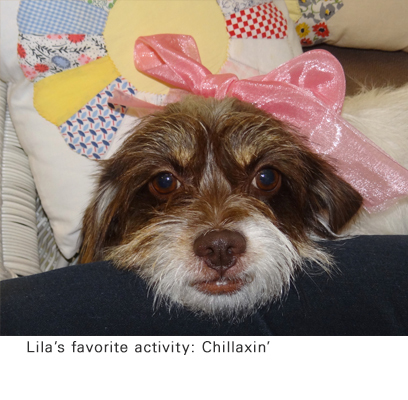 In partnership with WoofStock 2nd Chance Camp of Little Elm, we rescued Lila. 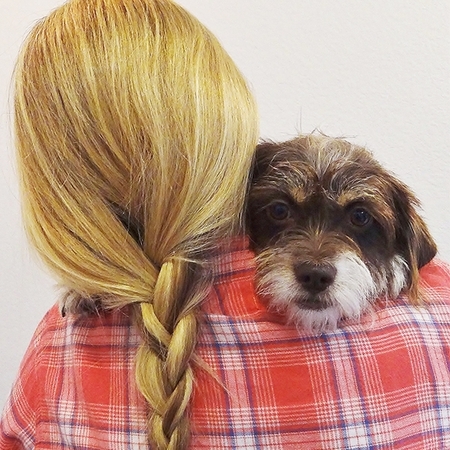 She's been living at the FHF Ranch, super snuggling EVERY visitor: the handyman, the tree keeper, the interior designer, the interviewee... She will be transitioning to Woofstock's team where she will go on a two-second road show to be adopted. We say 2 seconds because this little girl is a DREAM DOG. If you've been looking for the most amazing, easy, lovable dog for you and your family, contact WoofStock right away. Lila loves other dogs of all sizes. From mini yappy yorkies to boisterous corgis... Lila nearly super snuggled them all during her foster stay at The Ranch! 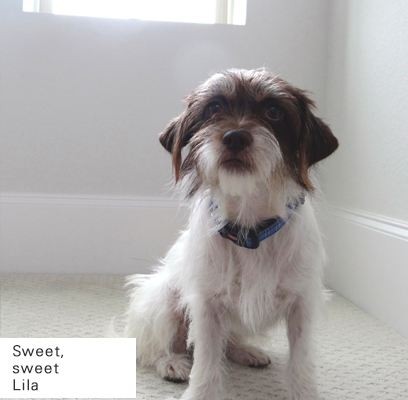 Lila's been adopted! Her new name is Roxie and her forever human home is full of other adorable maltese and terrier rescue dogs. She sleeps in her parent's bed each night, which for her, we know is absolute heaven! We wish you many "goodnights" sweet Roxie.